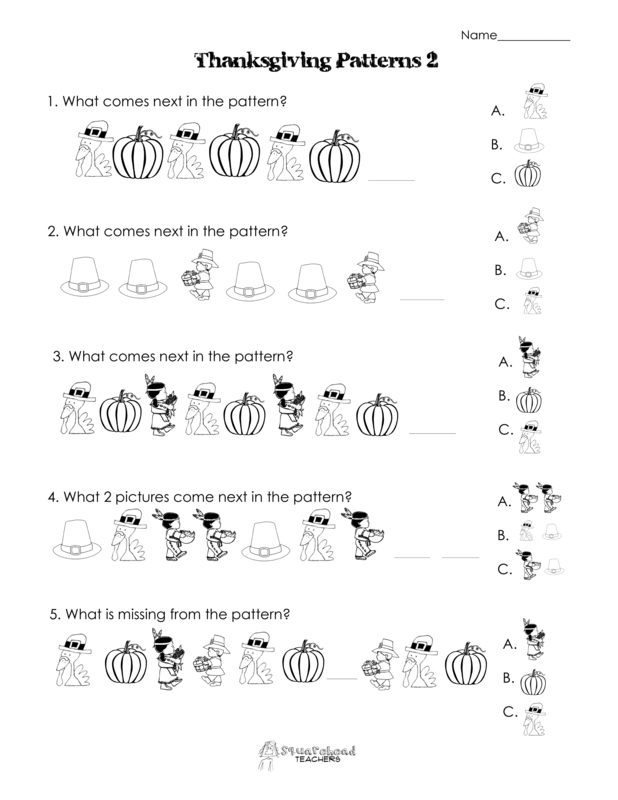 This is my first time making this kind of patterns worksheet, so let me know what you think. It’s appropriate for Kindergarten, first grade and 2nd grade. Click here for the free printable PDF: Thanksgiving Patterns 2 PDF Enjoy! This entry was posted in Holidays/Seasons, Math, Thanksgiving/Fall and tagged Children, Education, Elementary School, Homeschool, Kids, Teacher Resources, Teachers, Teaching by Squarehead Teachers. Bookmark the permalink.